Foodie Home Chef is a great food blogger who has kindly contributed to my blog on several occasions. Her food is creative and shows a great use of fresh ingredients which are treated with respect. Once again, she has kindly contributed this tasty recipe to my blog. Thanks! I encourage you to go check out some more of her creative recipes at Foodie Home Chef. This recipe has a lot of ingredients, but comes together quickly & makes a great summertime meal. This also makes 4 to 5 delicious chicken salad sandwiches on your favorite bread. Whenever possible use organic ingredients. 1. Mix the first 9 ingredients (yogurt through black pepper) in a medium glass bowl till well combined. 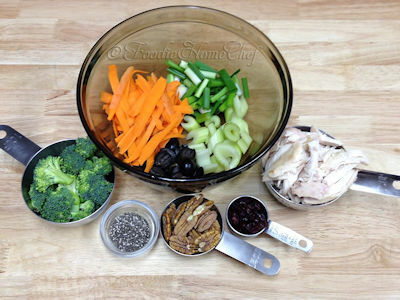 Cover & refrigerate till you finish prepping the other ingredients. 2. 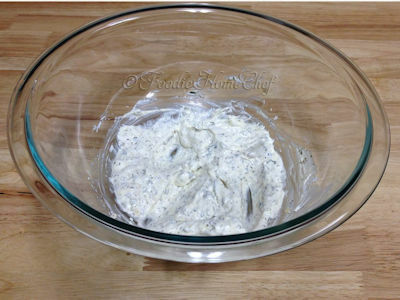 Add remaining ingredients (chicken through chia seeds) to yogurt mixture & toss gently till combined. 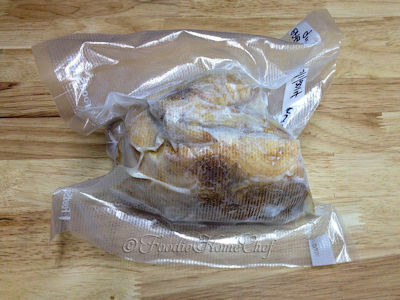 Cover & refrigerate 4 to 8 hours to allow the ingredients to marry & attain maximum flavor. 3. Stack 2 lettuce leaves on each plate or a hefty handful of super food greens. 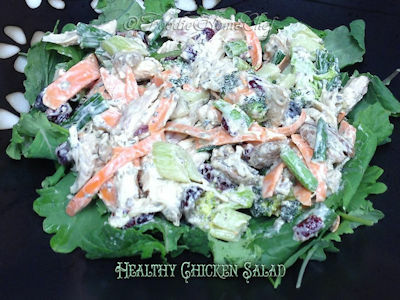 Add chicken salad atop the lettuce or greens & serve. 1. 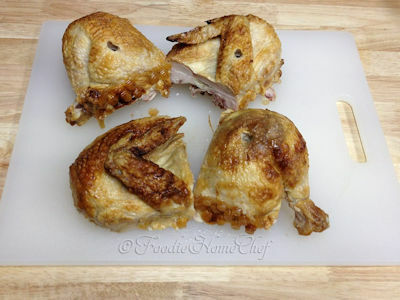 For the cooked chicken meat; pull the meat off a 1/4 of a rotisserie cooked grocery store chicken…this will yield the 1 cup needed. You can also use leftover chicken or turkey meat or cook up a boneless, skinless chicken breast. 2. If you have one, use a Foodsaver or other brand of vacuum sealer machine to seal the remaining rotisserie chicken, label, date & freeze. 3. Use the green leafy part of the bok choy as part of the serving greens. Tear it up & add it to the chicken salad or save it to use in a salad, it should last about a week in the frig. 4. Add 1/3 cup of any fresh vegetable you need to use up, such as red bell pepper cut into short strips or raw asparagus spears (cut off woody part of stem) & cut into thirds. 5. 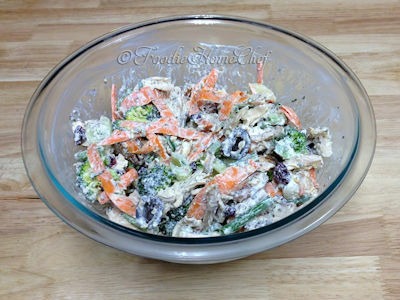 Chicken salad will last in frig about 2 days. Do not freeze.